There are four primary project delivery methods used, each having benefits and limitations. The intent of the project and its goals regarding schedule, costs, quality, and safety will help determine which method is the correct one. Under this traditional method, an architectural firm is hired and serves as the owner’s agent. Although the firm may have numerous responsibilities, including the selection of consultants, its primary responsibility is providing and managing the design and construction documents for the project. As the design progresses, the architectural firm and external cost estimators periodically prepare cost estimates. Once the construction documents and specifications are completely finished, the project is bid and subsequently awarded to the general contractor with the lowest responsible bid. This design-bid-build approach achieves the owner’s goals with reasonable speed and costs. However, the larger sizes and increasing carrying costs of today’s building projects have inspired the creation of project management organizations that can complete the project more quickly with lower costs. Design-build is a method of project delivery in which a design-build contractor enters into a single contract with an owner to provide architectural and engineering design and construction services. 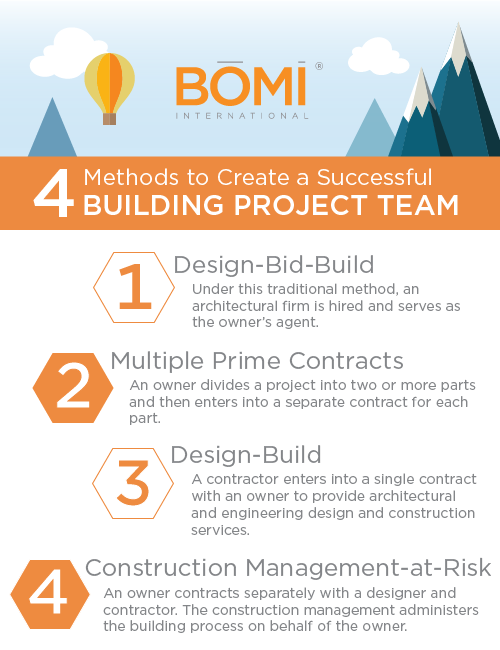 This method is unlike the traditional design-bid-build method, which uses separate contracts for the design and construction phases of the project. Under design-build, rather than hiring an architect, the owner enters into a contract with a single firm with design and building capabilities or a construction entity that employs the architect as a consultant. As with the design-bid-build approach, a guaranteed maximum price for the entire project is provided; construction management techniques to overlap design and construction phases are used; and the overall project delivery is expedited. Today, approximately 50 percent of all commercial projects are developed using the design-build approach. Design-build combines the design and construction of a project into one contract. The benefits of the combination include encouraging collaboration between the design team and construction team to develop innovative techniques to build the project, as well as sharing knowledge about both constructability and the level of detail required to exceed the owner’s requirements. Construction management-at-risk (CMAR) is a method of project delivery in which an owner contracts separately with a designer and contractor. 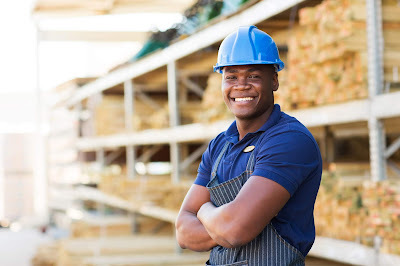 The owner contracts with a design company to provide facility design and then selects a contractor to perform construction management services and construction work. A construction manager is hired to manage the construction process, including the selection of subcontractors. Through coordination between the architect and construction manager, the design and construction phases can be overlapped, thereby expediting the delivery process. The construction manager, who is responsible for quality control, scheduling, and the estimate of construction costs, provides a guaranteed maximum price for the project. 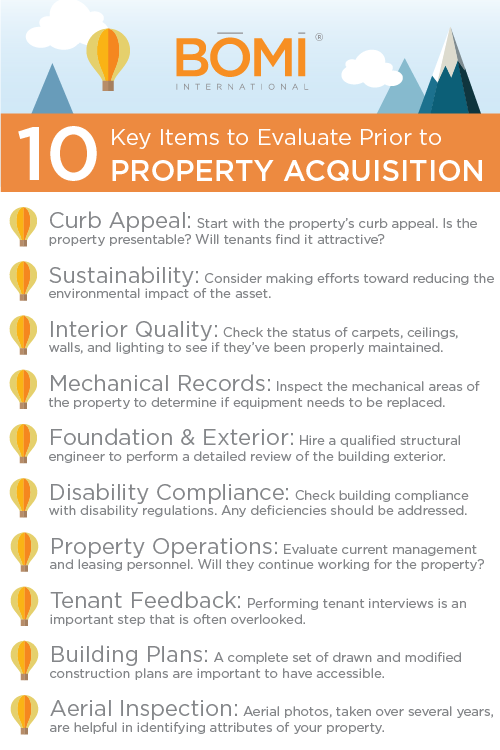 Unlike the design-bid-build approach, construction management administers the process on behalf of the owner, keeping the owner’s best interests in mind. The construction manager is hired by the owner to promote a team effort and manage the two separate activities of a building project—design and construction. The multiple prime contracts approach is a method of project delivery in which an owner divides a project into two or more parts and then enters into a separate contract for each part. These contracts are often used for large or complex construction projects that require phases and multiple bid packages. Under the multiple prime contracts approach, the project administrator manages the total project, coordinating the design, contracting, scheduling, and funding of each subproject to get the job completed on time and on budget. This is often called fast-track construction. Major highway construction with subprojects like bridges, interchanges, and other components is a contemporary example. This article is adapted from BOMI International's The Design, Operation, and Maintenance of Building Systems, Part I course, part of the RPA® and FMA® designation programs. More information regarding this course or the High-Performance Sustainable Buildings credential (BOMI-HP®) is available by calling 1.800.235.2664. Visit BOMI International’s website, www.bomi.org.